After a flood or other water disaster, you reach for the phone– but who do you call to help you save your home and possessions? Who is best prepared to begin the clean up process? Before you call anyone, respond to all emergencies and make sure your family is safe. If needed, call the fire department. Resist the urge to clean or tidy up. Your insurer and disaster relief company will document the damage fully, so it’s not necessary for homeowners to document the damage at this stage. Homeowners mistakenly think they’re helping when they clean, but they’re actually destroying important evidence that could significantly impact a claim, or get the claim denied altogether. Are you able to identify the source and stop the incoming water? If not, you should call a professional plumber. Licensed plumbers are required to go through years of rigorous training and testing. Sometimes the source can be difficult to locate so a plumber will be able to pinpoint the source of your leak and begin the water abatement process immediately. But if you can see or know where the water is coming from, call a water damage restoration team. Calling a disaster relief company first offers clear advantages. Some insurance policies have high deductibles; it might be cheaper to avoid a claim and just pay for the damage out-of-pocket. An experienced restoration company can help determine if insurance is the wisest course of action. Your home restoration company should only work for you. Preferred vendors primarily work for the insurance company and that doesn’t always serve the homeowner. Plus, good restoration companies work with homeowners to ensure the best insurance outcome. This includes detailed documentation of the disaster, generating accurate estimates, and being available to negotiate with insurance companies. Although it might not be the first call, don’t wait too long to contact the insurance company. A claim could be denied if you don’t report the damage in a timely manner. Prompt written notice detailing the cause of the claim. Accurately record all repair expenses. 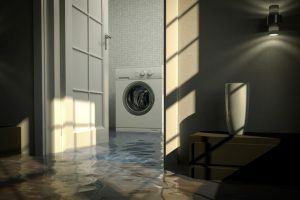 When filing your claim, note that water damage as a result of failing to maintain your property, may not qualify for coverage. This is another reason you should pick a trusted restoration company; much of the evidence gathering and negotiating will be documented by them. When your home or commercial property floods, look for a team with the most advanced, specialized equipment to remove standing water and dry affected areas. Daystar Cleaning, Inc. is a certified firm of the Institute of Inspection Cleaning and Restoration Certification (IICRC). For 24/7 emergency service in Panama City and Bay County, please call 850-303-6978.